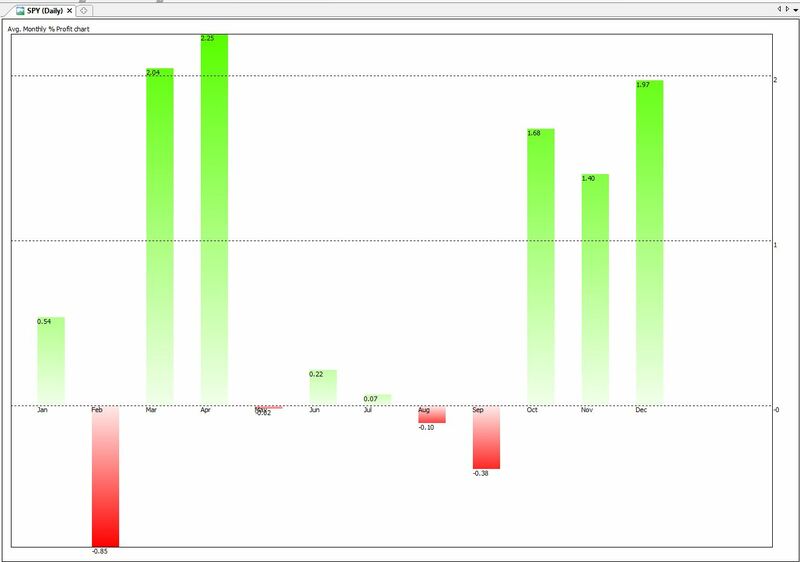 Each month we buy at the Open of the first day of the month and sell at the close of the last day of the month. Here’s the average profit loss for the S&P500 Etfs, SPY (yahoo:SPY). Data from 1993. This chart shows that for example if we bought every December @ the open and sold at the end of the month @the Close, we would average a 1.97% profit. But is average profit, alone, a good indication of profit loss potential? Mr. X., a french expat and a bon viveur, wakes up and just feels like gambling. He takes a trip to the nearby casino. We ‘ll call it the Casino “Royale”. He enters the lobby and is presented with 12 different slot machines. Mr. Francois is the oldest employee of the Royale and has been there since the very beginning. His job is to record the history of those machines. How many times each paid off and how much. Mr. X and Francois are buddies. So Mr. X has access to Francois’ notes. Francois keeps telling Mr. X, that past does not guarantee the future: If machine #3 paid off 100% of the times it was played, does not mean that it will pay off the next one. But if it did, if the winning rates and payoffs were “stable”, ie, we expected future statistics to be similar to past statistics, which machine should Mr. X choose and how much should he bet? b is the net odds received on the wager (“b to 1”); i.e., if you play $1, how much do I win/loose. The bigger the probability of winning and the bigger the money paid per $1 bet, the bigger Kelly becomes. . Which only makes sense since we want to play games with big winning percentages and large payoffs. So we can use Kelly as an “indicator” to tell us what would be our “best” bet. So again, here’s the SPY chart using Kelly instead of Average Profit. Certainty: 70 – i.e. 14 winning Dec’s out of 20 = 70% winning prob. Here you can visually see where the “sell in May and go away” saying comes from. Again, this is historical stats. Doesn’t mean they predict the future. Probably all this is known to you: The best months to have invested on the SPY are November and December and the worst are May to October. So here’s another seasonal for my European friends that have lost much of their purchasing power over the last 2 years. Past returns may not be indicative of future returns.